Tracing The 'Immortal' Cells Of Henrietta Lacks In 1951, Henrietta Lacks died after a long battle with cervical cancer. Doctors cultured her cells without permission from her family. The story of those cells and of the medical advances that came from them, is told in Rebecca Skloot's book, The Immortal Life of Henrietta Lacks. This interview was originally broadcast on February 2, 2010. 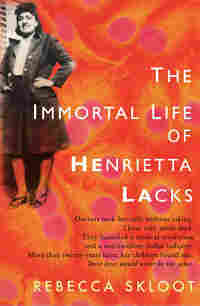 The Immortal Life of Henrietta Lacks is now available in paperback. Skloot is a freelance science writer and a contributing editor at Popular Science. She has written feature stories for The New York Times, Discover Magazine, and RadioLab. There's a photo on my wall of a woman I've never met, its left corner torn and patched together with tape. She looks straight into the camera and smiles, hands on hips, dress suit neatly pressed, lips painted deep red. It's the late 1940s and she hasn't yet reached the age of thirty. Her light brown skin is smooth, her eyes still young and playful, oblivious to the tumor growing inside her — a tumor that would leave her five children motherless and change the future of medicine. Beneath the photo, a caption says her name is "Henrietta Lacks, Helen Lane or Helen Larson." No one knows who took that picture, but it's appeared hundreds of times in magazines and science textbooks, on blogs and laboratory walls. She's usually identified as Helen Lane, but often she has no name at all. She's simply called HeLa, the code name given to the world's first immortal human cells — her cells, cut from her cervix just months before she died. I've spent years staring at that photo, wondering what kind of life she led, what happened to her children, and what she'd think about cells from her cervix living on forever --bought, sold, packaged, and shipped by the trillions to laboratories around the world. I've tried to imagine how she'd feel knowing that her cells went up in the first space missions to see what would happen to human cells in zero gravity, or that they helped with some of the most important advances in medicine: the polio vaccine, chemotherapy, cloning, gene mapping, in vitro fertilization. I'm pretty sure that she — like most of us — would be shocked to hear that there are trillions more of her cells growing in laboratories now than there ever were in her body. There's no way of knowing exactly how many of Henrietta's cells are alive today. One scientist estimates that if you could pile all HeLa cells ever grown onto a scale, they'd weigh more than 50 million metric tons — an inconceivable number, given that an individual cell weighs almost nothing. 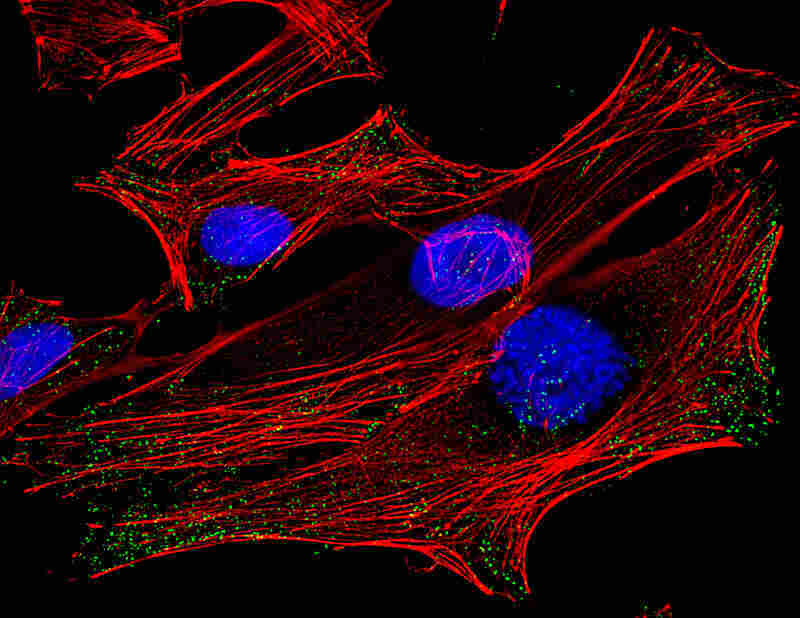 Another scientist calculated that if you could lay all HeLa cells ever grown end-to-end, they'd wrap around the Earth at least three times, spanning more than 350 million feet. In her prime, Henrietta herself stood only a bit over five feet tall. 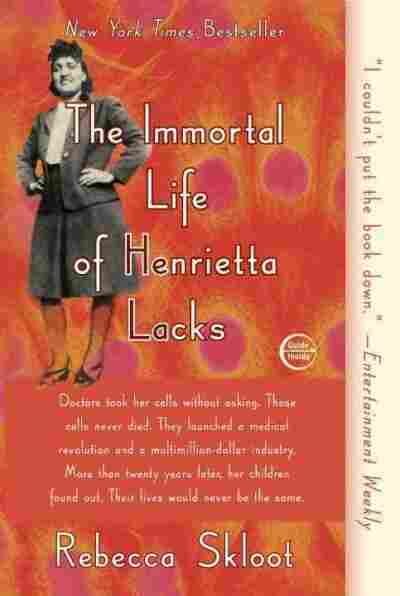 I first learned about HeLa cells and the woman behind them in 1988, thirty-seven years after her death, when I was sixteen and sitting in a community college biology class. My instructor, Donald Defler, a gnomish balding man, paced at the front of the lecture hall and flipped on an overhead projector. He pointed to two diagrams that appeared on the wall behind him. They were schematics of the cell reproduction cycle, but to me they just looked like a neon-colored mess of arrows, squares, and circles with words I didn't understand, like "MPF Triggering a Chain Reaction of Protein Activations." I was a kid who'd failed freshman year at the regular public high school because she never showed up. I'd transferred to an alternative school that offered dream studies instead of biology, so I was taking Defler's class for high-school credit, which meant that I was sitting in a college lecture hall at sixteen with words like mitosis and kinase inhibitors flying around. I was completely lost. "Do we have to memorize everything on those diagrams?" one student yelled. Yes, Defler said, we had to memorize the diagrams, and yes, they'd be on the test, but that didn't matter right then. What he wanted us to understand was that cells are amazing things: There are about one hundred trillion of them in our bodies, each so small that several thousand could fit on the period at the end of this sentence. They make up all our tissues — muscle, bone, blood — which in turn make up our organs. Under the microscope, a cell looks a lot like a fried egg: It has a white (the cytoplasm) that's full of water and proteins to keep it fed, and a yolk (the nucleus) that holds all the genetic information that makes you you. The cytoplasm buzzes like a New York City street. It's crammed full of molecules and vessels endlessly shuttling enzymes and sugars from one part of the cell to another, pumping water, nutrients, and oxygen in and out of the cell. All the while, little cytoplasmic factories work 24/7, cranking out sugars, fats, proteins, and energy to keep the whole thing running and feed the nucleus. The nucleus is the brains of the operation; inside every nucleus within each cell in your body, there's an identical copy of your entire genome. That genome tells cells when to grow and divide and makes sure they do their jobs, whether that's controlling your heartbeat or helping your brain understand the words on this page. Defler paced the front of the classroom telling us how mitosis — the process of cell division — makes it possible for embryos to grow into babies, and for our bodies to create new cells for healing wounds or replenishing blood we've lost. It was beautiful, he said, like a perfectly choreographed dance. All it takes is one small mistake anywhere in the division process for cells to start growing out of control, he told us. Just one enzyme misfiring, just one wrong protein activation, and you could have cancer. Mitosis goes haywire, which is how it spreads. "We learned that by studying cancer cells in culture," Defler said. He grinned and spun to face the board, where he wrote two words in enormous print: HENRIETTA LACKS. Henrietta died in 1951 from a vicious case of cervical cancer, he told us. But before she died, a surgeon took samples of her tumor and put them in a petri dish. Scientists had been trying to keep human cells alive in culture for decades, but they all eventually died. Henrietta's were different: they reproduced an entire generation every twenty-four hours, and they never stopped. They became the first immortal human cells ever grown in a laboratory. "Henrietta's cells have now been living outside her body far longer than they ever lived inside it," Defler said. If we went to almost any cell culture lab in the world and opened its freezers, he told us, we'd probably find millions — if not billions — of Henrietta's cells in small vials on ice. Her cells were part of research into the genes that cause cancer and those that suppress it; they helped develop drugs for treating herpes, leukemia, influenza, hemophilia, and Parkinson's disease; and they've been used to study lactose digestion, sexually transmitted diseases, appendicitis, human longevity, mosquito mating, and the negative cellular effects of working in sewers. Their chromosomes and proteins have been studied with such detail and precision that scientists know their every quirk. Like guinea pigs and mice, Henrietta's cells have become the standard laboratory workhorse. "HeLa cells were one of the most important things that happened to medicine in the last hundred years," Defler said. Then, matter-of-factly, almost as an afterthought, he said, "She was a black woman." He erased her name in one fast swipe and blew the chalk from his hands. Class was over. As the other students filed out of the room, I sat thinking, That's it? That's all we get? There has to be more to the story. I followed Defler to his office. "Where was she from?" I asked. "Did she know how important her cells were? Did she have any children?" "I wish I could tell you," he said, "but no one knows anything about her." That was it. I looked up HeLa in my parents' encyclopedia, then my dictionary: No Henrietta. As I graduated from high school and worked my way through college toward a biology degree, HeLa cells were omnipresent. I heard about them in histology, neurology, pathology; I used them in experiments on how neighboring cells communicate. But after Mr. Defler, no one mentioned Henrietta. When I got my first computer in the mid-nineties and started using the Internet, I searched for information about her, but found only confused snippets: most sites said her name was Helen Lane; some said she died in the thirties; others said the forties, fifties, or even sixties. Some said ovarian cancer killed her, others said breast or cervical cancer. Eventually I tracked down a few magazine articles about her from the seventies. Ebony quoted Henrietta's husband saying, "All I remember is that she had this disease, and right after she died they called me in the office wanting to get my permission to take a sample of some kind. I decided not to let them." Jet said the family was angry — angry that Henrietta's cells were being sold for twenty-five dollars a vial, and angry that articles had been published about the cells without their knowledge. It said, "Pounding in the back of their heads was a gnawing feeling that science and the press had taken advantage of them." The articles all ran photos of Henrietta's family: her oldest son sitting at his dining room table in Baltimore, looking at a genetics textbook. Her middle son in military uniform, smiling and holding a baby. But one picture stood out more than any other: in it, Henrietta's daughter, Deborah Lacks, is surrounded by family, everyone smiling, arms around each other, eyes bright and excited. Except Deborah. She stands in the foreground looking alone, almost as if someone pasted her into the photo after the fact. She's twenty-six years old and beautiful, with short brown hair and catlike eyes. But those eyes glare at the camera, hard and serious. The caption said the family had found out just a few months earlier that Henrietta's cells were still alive, yet at that point she'd been dead for twenty-five years. All of the stories mentioned that scientists had begun doing research on Henrietta's children, but the Lackses didn't seem to know what that research was for. They said they were being tested to see if they had the cancer that killed Henrietta, but according to the reporters, scientists were studying the Lacks family to learn more about Henrietta's cells. The stories quoted her son Lawrence, who wanted to know if the immortality of his mother's cells meant that he might live forever too. But one member of the family remained voiceless: Henrietta's daughter, Deborah. As I worked my way through graduate school studying writing, I became fixated on the idea of someday telling Henrietta's story. At one point I even called directory assistance in Baltimore looking for Henrietta's husband, David Lacks, but he wasn't listed. I had the idea that I'd write a book that was a biography of both the cells and the woman they came from — someone's daughter, wife, and mother. I couldn't have imagined it then, but that phone call would mark the beginning of a decadelong adventure through scientific laboratories, hospitals, and mental institutions, with a cast of characters that would include Nobel laureates, grocery store clerks, convicted felons, and a professional con artist. While trying to make sense of the history of cell culture and the complicated ethical debate surrounding the use of human tissues in research, I'd be accused of conspiracy and slammed into a wall both physically and metaphorically, and I'd eventually find myself on the receiving end of something that looked a lot like an exorcism. I did eventually meet Deborah, who would turn out to be one of the strongest and most resilient women I'd ever known. We'd form a deep personal bond, and slowly, without realizing it, I'd become a character in her story, and she in mine. Deborah and I came from very different cultures: I grew up white and agnostic in the Pacific Northwest, my roots half New York Jew and half Midwestern Protestant; Deborah was a deeply religious black Christian from the South. I tended to leave the room when religion came up in conversation because it made me uncomfortable; Deborah's family tended toward preaching, faith healings, and sometimes voodoo. She grew up in a black neighborhood that was one of the poorest and most dangerous in the country; I grew up in a safe, quiet middle-class neighborhood in a predominantly white city and went to high school with a total of two black students. I was a science journalist who referred to all things supernatural as "woo-woo stuff"; Deborah believed Henrietta's spirit lived on in her cells, controlling the life of anyone who crossed its paths. Including me. "How else do you explain why your science teacher knew her real name when everyone else called her Helen Lane?" Deborah would say. "She was trying to get your attention." This thinking would apply to everything in my life: when I married while writing this book, it was because Henrietta wanted someone to take care of me while I worked. When I divorced, it was because she'd decided he was getting in the way of the book. When an editor who insisted I take the Lacks family out of the book was injured in a mysterious accident, Deborah said that's what happens when you piss Henrietta off. The Lackses challenged everything I thought I knew about faith, science, journalism, and race. Ultimately, this book is the result. It's not only the story of HeLa cells and Henrietta Lacks, but of Henrietta's family — particularly Deborah — and their lifelong struggle to make peace with the existence of those cells, and the science that made them possible. Excerpted from The Immortal Life of Henrietta Lacks by Rebecca Skloot Copyright 2010 by Rebecca Skloot. Excerpted by permission of Crown, a division of Random House Inc. All rights reserved.